The upcoming release of Windows 10 operating system is exciting for a number of bold new technologies Microsoft plans to introduce, including the new Microsoft Edge browser and Cortana speech-recognition tools. This release is called GWX for "Get Windows 10" and will reach all Windows users from version 7 to 8.1. Particularly interesting to me is that it will be the first time Windows operating system pushes out software over mesh networks in a peer-to-peer (aka "P2P") model. Over a decade ago software tools for creating peer-to-peer and mesh networks proliferated as alternative approaches to bandwidth-intensive content delivery and task processing. Allowing networked devices to mesh and delegate tasks remotely between each other avoids the burden of one-to-one connections between a computer and a central hosting server. Through this process the originating host server can delegate tasks to other machines connected in the mesh and then turn its attention to other tasks while the function (be it a piece of content to be delivered/streamed or a calculation to be executed) cascades through the meshed devices where there is spare processing capacity. Meshing is emerging in software delivery primarily because of the benefit it offers in eliminating burden to Apple and Microsoft in download fulfillment. 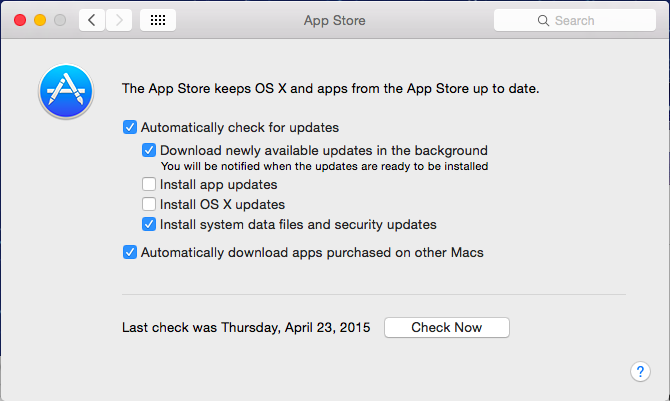 Apple's first introduction of this capability came in the Yosemite operating system update. Previously, software downloads were managed by laptop/desktop computers and pushed through USB to peripherals like iPods, iPhones and iPads. When these devices shifted from the hub and spoke model to be able to deliver updates directly over the air, two or more devices from a single wifi access point would make two or more different requests to the iTunes marketplace. With Apple's new networked permissions flow, one download can be shared between all household computers and all peripherals. It makes ecological sense to unburden the web from multiple versions of software going to the same person or household. It benefits Apple directly to send fewer copies of software and serves the user no less. Microsoft is going a step further with the upcoming Windows 10 release. Their version of the app distribution method over mesh allows you to fetch copies of the Windows updates not just from those sources who may be familiar to you in your own Wi-Fi network. Your computer may also decide to pull an update from some other unknown source on the broader Internet that is in your proximity. What I find very interesting about this is that Microsoft had previously been very restrictive about software distribution processes. Paid software products is their core business model after all. So to introduce a process to mesh Windows machines in a peering network for software delivery demonstrates that the issues around software piracy and rights management has largely been resolved. For more detail about the coming Windows 10 rollout, ZDNet has a very good update.